Toyota Industrial Equipment, the Forklift arm of Toyota Lanka (Private) Limited recently hosted some of its key clientele to an exclusive cocktail event to felicitate longstanding relationships with corporate and individual clients. 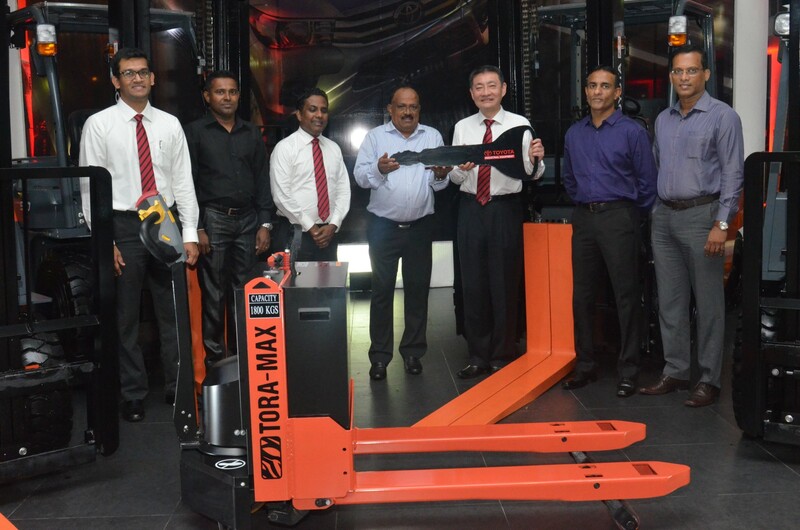 The event was held at Toyota Plaza and was attended by Toyota Lanka’s top management, the Forklift operations team and representatives from key clientele. Director/Chief Operating Officer of Toyota Lanka Manohara Atukorala stated, “Today we want to acknowledge the longstanding partnerships that we have formed with the reputed businesses that are in attendance today. We have no doubt that our equipment has had a positive impact on the productivity of these businesses”. As part of the event, 12 forklift units were handed over to appointed dealers of the Lion Brewery. The brand, product and after-sales support were highly praised by not only Lion Brewery who themselves are among Toyota Lanka’s top clientele, but also by the appointed distributors which speaks volumes on the enabling power of Toyota Forklifts towards improving business bottom lines. Toyota Industrial Equipment distributes the world’s No.1 material handling equipment and is an integrated material handling solutions provider for any manufacturing industry. Toyota’s range of forklifts are known for their durability, lowest emission levels in compliance with industrial standards, are affordable and come with a range of after-sales support services. For use at timber yards to manufacturing plants and even the latest department stores, Toyota Lanka distributes a range of material handling equipment from gasoline, diesel and battery powered forklifts and reach trucks to towing tractors. Toyota Lanka also boasts expert staff, high-tech diagnosis systems, tools and machinery required to support any scale of operation be it a single factory or multi-warehouse operation. Backed by an internationally acclaimed service warranty, Toyota Lanka also provides superior after sales service in multiple areas. Adding a further dimension to customer satisfaction, Toyota Lanka also operate a forklift customer loyalty programme and have further enhanced the total support value proposition with the addition of an on-call, state-of-the-art forklift field service and mobile maintenance unit. For more information on Toyota Lanka’s comprehensive forklift value offer, please call 0777 939 227.